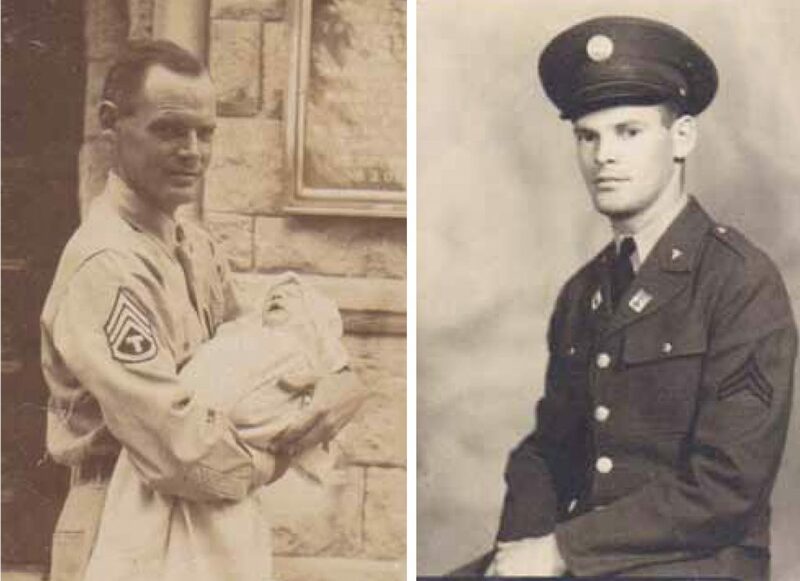 Robert H. Potter Left: With his new born son, 1946. Right: U.S. Army, Ft. Slocum, New York, 1942. On May 23, 2016 Robert H. Potter will see something never seen by most people: his ninety-ninth birthday. After all, at this age he has seen many things others have not and never will: from driving his Model-A Ford over the old wooden Causeway Bridge and sailing a sneakbox beneath its rickety boards to witnessing the conflagration of the Hindenburg; being entertained by Al Jolson in a local courtroom; seeing firsthand the emergence of his cousin Doc Cramer as a major league baseball star; to watching bootleggers smuggle liquor through local creeks during Prohibition. Robert recalls these fading events of local history with youthful ease and bright eyes that belie his ninety-eight years. 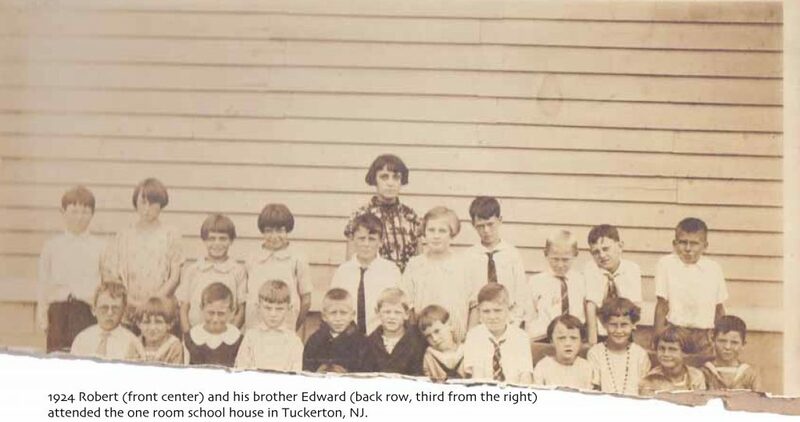 Born in 1917, Robert H. Potter is the oldest full-time resident of Long Beach Island. That year Beach Haven saw the completion of the twenty-two block long boardwalk at the Engleside Hotel. Horse-drawn carriages delivered patrons to the few hotels on Long Beach Island. Most homes were still lighted by gas lamps, and automobiles were started with the turn of a crank instead of a key. The Tucker’s Island lighthouse was still standing and the ocean hadn’t yet created Beach Haven inlet. there until entering the Army. As a young teen Robert spent summers working on fishing boats. He worked on party boats from Tuckerton and fishing boats out of Beach Haven Yacht Club on Dock Road. “In those days you slept on the boat and your wages were paid to your father,” Robert says smiling and shaking his head. “I got a 15 cent weekly allowance and I was allowed to keep my tips.” He also worked as a captain’s mate on Captain Finamore’s fishing boats the Rainbow and Four Sisters. Robert recalls the excitement of a huge swordfish hooked by a customer while working on the Rainbow. “It danced on its tail – up and out of the water on its tail.” A passing cruise ship, The Queen of Bermuda, cut its engines. Its passengers took photographs and watched.